Keep furniture clean by frequently dusting with a clean, soft, lint-free cloth. Use a damp cloth for cleaning wood and smooth leather surfaces. Make sure to dry the surface after cleaning to avoid water spotting. Silicone-based polishes are not recommended. They can result in over- polishing, mixing poorly with other products, and can cause future restoration issues. Do not use oil soaps for frequent cleaning of new furniture. If you regularly clean your surfaces with clean, soft cloths, your furniture should not accumulate enough dirt to require oil soaps. It is always important to test any cleaning or protection product in a small, inconspicuous area before using. Please follow manufacturer’s instructions when using any product on your Stickley furniture. Always apply products in the same direction as the wood grain to avoid leaving visible streaks or scratches. Make sure to lift object across the surface, as dragging objects will scratch the surface. Expect some small surface scratches to appear on some finishes. Furniture wax can help prevent scratches from regular use. However, make sure to test the product on a small area before proceeding. Avoid regularly exposing furniture to direct sunlight, as consistent exposure will discolor and damage wood, finishes, fabrics, leather, and rugs over time. 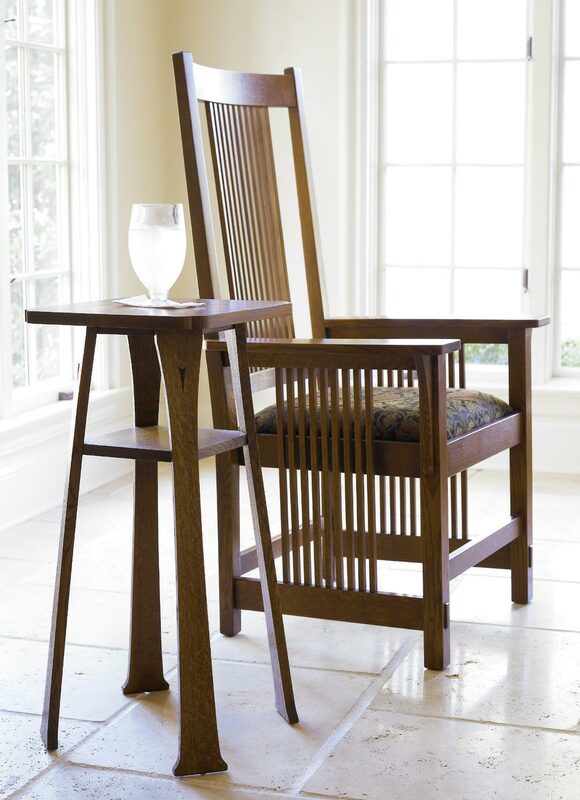 While Stickley furniture is constructed to allow for natural fluctuations of temperature and humidity, it can still be damaged by dramatic changes. To ensure your furniture’s longevity, it is best to maintain a relatively consistent temperature and level of humidity. Avoid exposing the furniture to items creating extreme heat, cold, or moisture. Use caution when placing items that radiate continuous heat on fine wood furniture. For example, some computers, stereos, tablets, and phones can raise the surface temperature by up to 20 degrees and may damage the finish over time. To avoid damaging your furniture, use protective padding under these items. Do not place nail polish remover, hair spray, perfume, potpourri, and any other products that contain solvents, directly on your wood or leather surfaces, as they can damage the wood and leather finishes. Avoid using these products on or near any wood or leather furniture. Rubber, cork, vinyl or plastic products can damage finishes. Use caution when placing phones, clocks, and electronics on a finished surface, as most have rubber or plastic footpads that can react with lacquer finishes. Also avoid placing vinyl or cork placemats, coasters or tablecloths directly on wood surfaces. To prevent damage, use a protective layer of cotton, linen or felt cloth between the object and the finish. Store table leaves flat, apron side up, in a controlled environment to prevent warping or cracking. Do not store in an attic or basement. We recommend using cloth table leaf storage bags to protect against scratching. 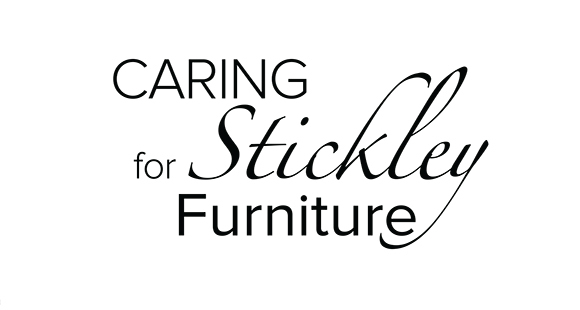 For more information on caring for your Stickley furniture, please contact their customer service department.